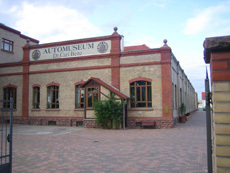 In summer 2006, when our boys aged 8 and 10 years at the time and ourselves visited the Dr Carl Benz Museum in Ladenburg, which had been opened a few months before in the former original factory hall of the Benz motorworks, we were all enthusiastic about the beautiful vintage cars and the historical museum building. Afterwards, we went for a little walk through the lush green Neckar grassland in Ladenburg and suddenly found ourselves in front of an old building that had been used, a sign said, by Dr. Carl Benz, the inventor of the automobile, and was therefore referred to as the world's first automobile garage. 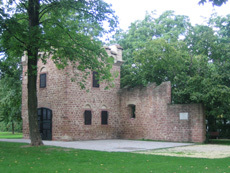 Of course, we also talked about Bertha Benz and her trip from Mannheim to Pforzheim. Here, in the land of Baden, she is a very well-known personality whereas in Frankfurt, we pondered, she will be less famous. In Hamburg, hardly anyone would know her, and if you asked someone abroad, some people might even never have heard of Dr. Carl and Bertha Benz! We wanted to learn more about Bertha Benz, this fascinating person, and tried to research the exact course of the trip she made in 1888 on the Internet. We remained unsuccessful, much to our surprise. But when we contacted Mr. Seidel from the Dr. Carl Benz automobile museum in Ladenburg, we learned more about the route, because a vintage car rally has been staged every other year in reminiscence of Bertha Benz and her great achievement for the last couple of years. This aroused our interest and would not go out of our mind, and we thought about for a long time how the great life-time achievement of Bertha Benz could be adequately paid tribute to. The only thing we knew from the beginning was that the honoring of Bertha Benz should be in the form of a non-for-profit initiative!